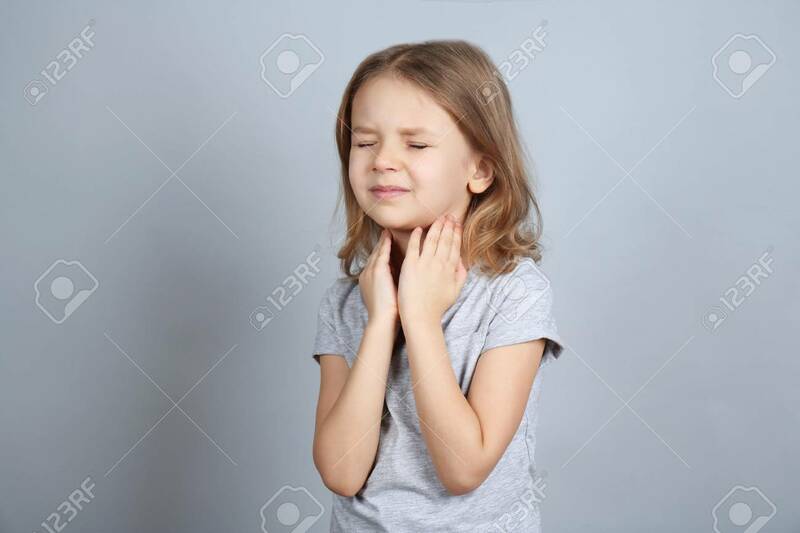 Little Ill Girl With Sore Throat On Color Background. Concept Of Allergy Banque D'Images Et Photos Libres De Droits. Image 97636854.